Beautiful, brunch, comfort food...everything titas love. (SPOT.ph) We know titas and titas at heart have already cultivated a favorite UCC branch, but this is a modern world. You may be a creature of habit, but you also have to venture out of the cave and explore the options. You’ll find that there are many places there that offer everything we titas love: brunch, pastries, and a beautiful setting. Organic, MSG-free, GMO-free—by golly, this place is a jackpot. Satinka’s expertise lies in clean cuisine that is packed with flavor. Even their vegetarian and vegan specialties don’t slump when it comes to treating your tita’s taste buds right. Whitewashed furnishing and soothing music give a very laidback, organic feel—a nice, relaxed setting to comfort tita ills. 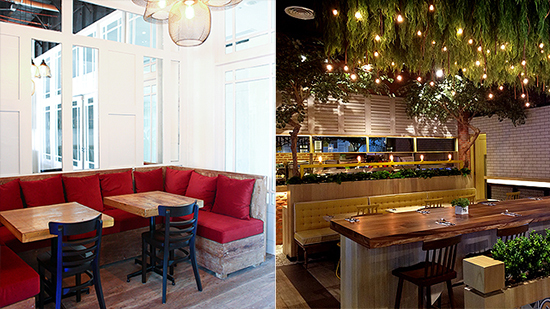 Wooden tables near the window provide an entertaining view of the thoroughfare, while low tables with soft pillows serve as comfy lounge areas. One part of the restaurant is an apothecary, selling personal care products as well as coffee and other local organic merchandise. Satinka Naturals Bistro and Café is at 1137 Kamagong Street corner Chino Roces Avenue, Makati City. Esteemed interior designers Cynthia and Ivy Almario definitely outdid themselves when they crafted this gorgeous locale. The whole place is filled with chandeliers, plush couches, and curios. The perfect tea-time spot (it’s currently No. 9 on our Top 10 Places for Afternoon Tea), Relish finds the balance between upscale but unpretentious. While it’s certainly more stylish than most houses, it doesn’t fail in making you feel at home. Relish (Hello Happiness) is at 74 Scout Limbaga Street, Quezon City. 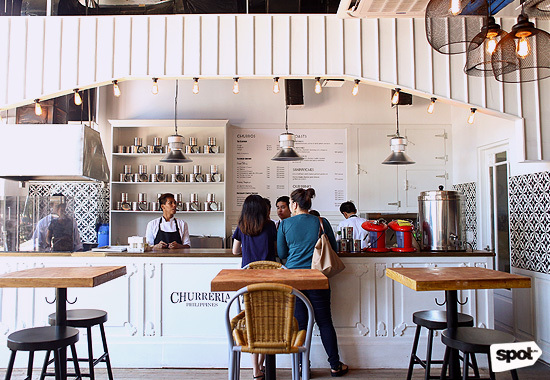 It’s not difficult to make this Indo eatery feel homey. It was a house in the first place, and the furniture and knickknacks preserve that cozy feel. 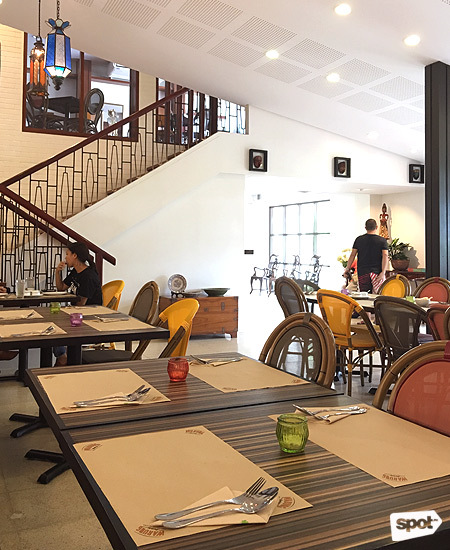 Owners Louh Decena and Tess Doctora are titas themselves, and they make sure that their staff is trained to be impeccably hospitable and accommodating. You and your friends are sure to chat up a storm over their spread of Southeast Asian specialties! Warung Warung is at 83 East Capitol Drive, Kapitolyo, Pasig City. The Wholesome Table’s dedication to their organic philosophy—from the interiors to the menu—would impress even the hardest-to-please of titas. 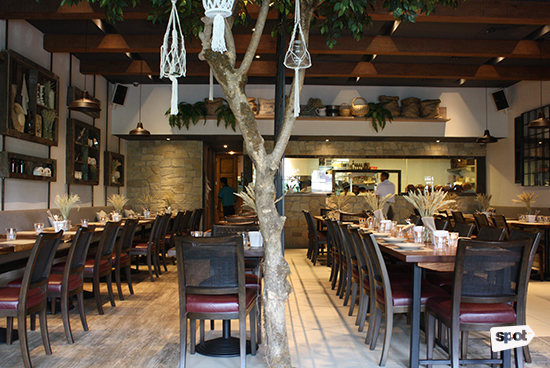 Owner Bianca Araneta Elizalde went for a rustic garden and she pinned a list of forbidden ingredients on her kitchen wall, reminding the staff that no MSG will cross the threshold of the restaurant. That Tita might find a dish here that will fit her dietary requirements (hey, porcetta is available) isn’t why this place is perfect for her. The overall vibe is delicate, sophisticated, calm but not drowsy—in other words, tita-perfect. The Wholesome Table has branches at Bonifacio High Street Central, Bonifacio Global City; Estancia Mall, Capitol Commons Pasig City; and H.V. Dela Costa Street, Salcedo Village, Makati City. Pit stop in between shopping? Why not? 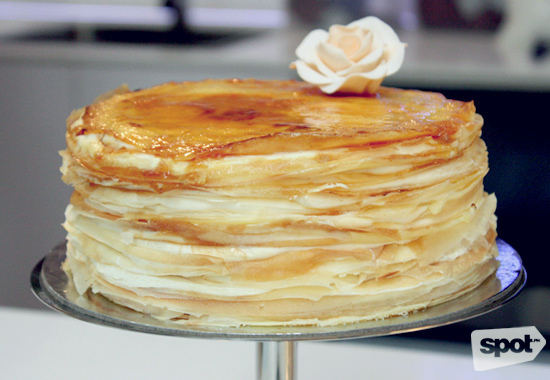 Paper Moon’s dainty and elegant crepe cakes are the perfect snacks to revitalize you for another bout of flipping through the racks and fitting. Paper Moon is known for their nuanced flavors. Every dessert—crepe or not—in their chillers teases with the lightest touch of sweetness. You can’t really argue with a restaurant that promises comfort. Come Forth Kitchen ushers you in with chic shabby chic interiors and dependable favorites. The kitchen satisfies every brunch craving anyone can have—and a bit more—but what gives their food extra seasoning is the dash of nostalgia. The dishes on the menu are backed with stories from the owners’ memories. They’ll make you reminisce about your own childhood. 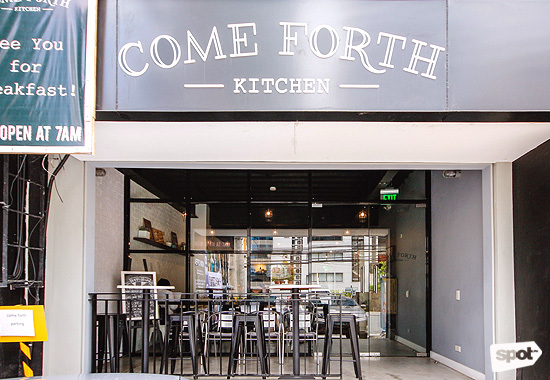 Come Forth Kitchen is at 120 Jupiter Street, Bel-Air 2, Makati City. Whether you want pizza, pasta, salad, or pastries, Dean and DeLuca is a one-stop shop for your dining needs. 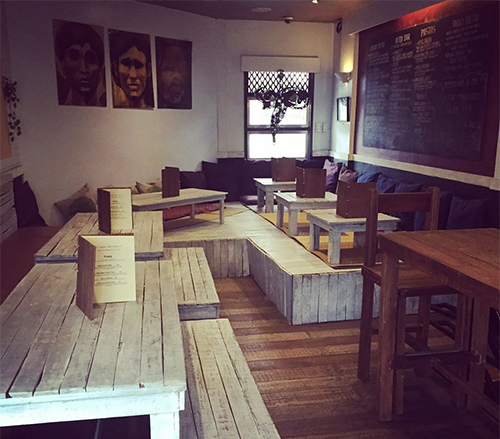 It’s great for grabbing meals on the go, but it’s an equally nice place to chill out for a bit with the amigas. Ladies who lunch (not to mention brunch and dinner!) will always find satisfaction in their wide array of eats and their cool mini-market of pantry goods. 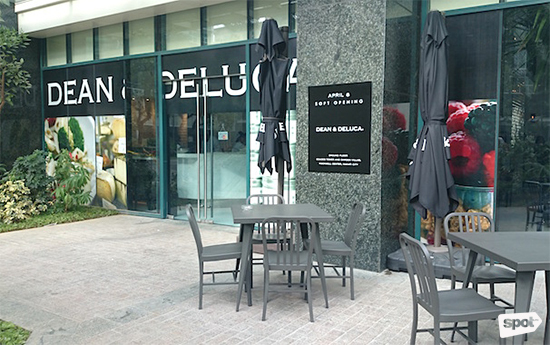 Dean and DeLuca is at Rockwell Edades, Makati City. 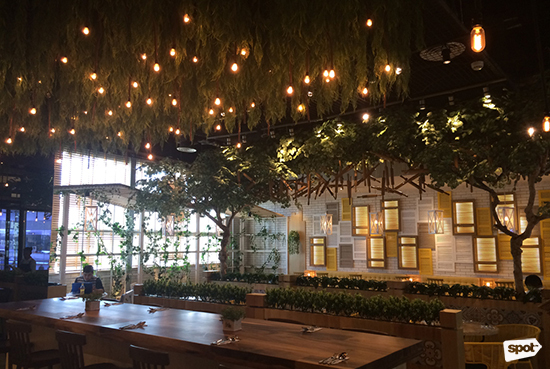 This lovely restaurant simulates an indoor garden—which warrants two thumbs up from us for developing a lovely ambience while keeping Tita’s skin protected from the elements. Le Petit Soufflé cooks up French-Japanese fusion in stunning presentations that can make anyone’s jaw drop. Yes, titas included. The menu doesn’t shy away from trends (even starting a lot of them in Metro Manila’s dining scene), but if anyone can make titas warm up to flashier food, it’s definitely this restaurant. Le Petit Soufflé is at Century City Mall, Makati City. 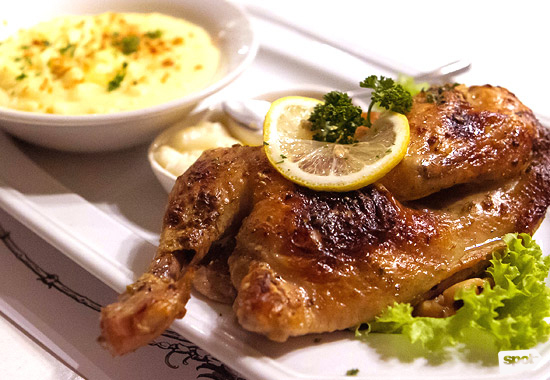 Titas, this southern gem will whisk you away to a leisurely afternoon in Spain. Easy-to-eat churros and coffee are tasty ingredients to a great day with a buddy; the stark white walls, tall windows, and mirror accents spell absolute chill. La Maripili is quiet, serene, and perfect for those who just like to enjoy each other’s company. It’s also a heavenly reward after a Zumba fat-burner. La Maripili is at G/F Alabang Town Center Corporate Center, Alabang, Muntinlupa City. 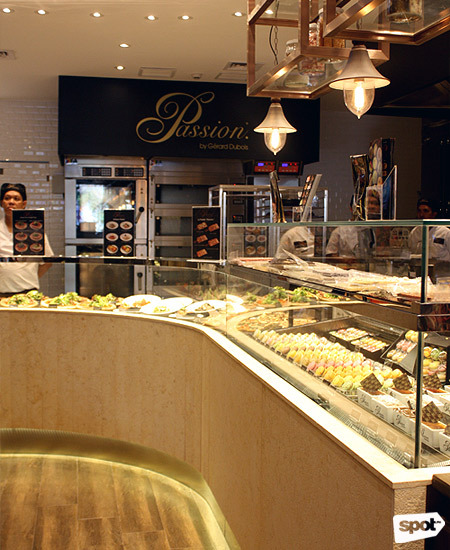 Passion by Gerard Dubois is at C2 NetPark, 5th Avenue, E-Square, Crescent Park West, Bonifacio Global City.